PPS fiber is a high temperature resistant synthetic fiber. Its good temperature resistance and chemical stability are determined by its simple chemical structure. Each aromatic ring interacts with a corresponding sulfur atom, and the structure is highly stable. Because of its symmetrical geometry and high linearity, PPS filter rolls can easily and rapidly crystallize and achieve a very high grade. It shows a very high melting point (285 C). It has excellent heat resistance. 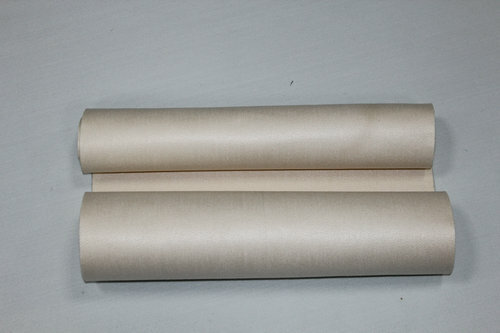 In addition, its flame retardancy, chemical resistance, dimensional stability and so on are also outstanding, with a variety of characteristics as high-performance fibers. It can withstand the temperature of 190 degrees Celsius continuously and resist the chemical corrosion of many acids, bases and oxidants. Most importantly, PPS fibers do not hydrrolyze, so they can run at high temperatures instead of Nomex fibers in wet, chemical (e.g. sulfur oxide) conditions. Like polypropylene, the moisture absorption of PPS felt is only 0.6%, but the temperature is much higher. Typical uses are pulse bag filters for municipal waste incinerators, utility boilers, coal-fired boilers, hospital incinerators and cogeneration boilers. It can also be used to replace other synthetic fibers that can not withstand high temperature or chemical and moisture.